Every day in the morning when you stare at yourself in the mirror, it is quite obvious to miss the subtle changes in your appearances such as lessening hair around your temples or a receding hairline. Mostly these small changes may dodge you but be watching a clump of your hair on your pillow or bed will definitely give you a wakeup call and make you sit up to think. Not only in women, hair loss in men can also be disturbing. The vista of going bald can also be a nightmare to men. Before getting into the treatments of hair loss in men, let’s dive into the exact cause of hair loss in men first. Shedding of hair or hair loss in men causes a lack in their confidence level too. The thinning of hair in men usually occurs as a result of androgenetic alopecia but there are other factors too that causes hair loss in men. Do you know that why men suffer more from hair loss than women? 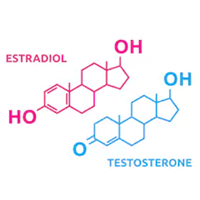 Well, it is because of the more DHT (dihydrotestosterone) levels in men than women. Male Pattern Baldness (MPB) or Androgenetic Alopecia is hereditary disorder and the most common reason for hair loss in men. At the initial stages, men often start noticing their receding hairline usually starting from hair thinning from temples or around the sides & back of the scalp. Men who are suffering from male pattern baldness have inherited hair follicles and their hair follicles are sensitive to the DHT (dihydrotestosterone) hormone which also causes hair loss. If you have inadequate eating habits, then there is a possibility that you will face hair loss too. It has been scientifically proven that a lack of protein and iron in your diet can wreak a havoc on your strands. Hair are made up of protein, Keratin. So, lack of protein in the body can make your hair weak leading to hair loss. It has been told by everyone that stress and trauma is bad for your health but it is bad for your hair too. 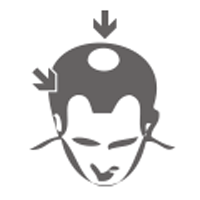 Stress is also considered as one of the reason causing hair thinning in men. Stress induces Telogen effluvium hair fall in men. But hair fall from Telogen effluvium is not irreversible as from male pattern hair loss. Excessive use of hair styling tools and products can make your hair dry and easily fall out. 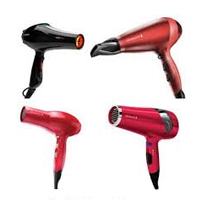 A continuous use of hair dryer for blow drying hair can cause hair fall. Tight braids, man buns, cornrow types hairstyles and often treating your hair with chemicals can damage your hair follicles and scalp. Fungal scalp infections like psoriasis can also be a cause of hair fall. Scalp Psoriasis is known as a chronic inflammatory disorder which can make your scalp red and can turn into scaly patches. It can also cause the small itchy bumps on your scalp. Seborrhoeic dermatitis is another chronic inflammatory scalp conditions which can cause severe itching on your scalp. And frequent itching on your scalp can make your hair follicles weak and subsequently fall out. 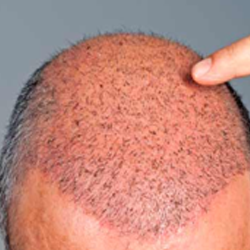 Involutional Alopecia is the plodding thinning of hair that usually comes with the age. With the passing time, hair follicles start moving into the resting phase. This results in an impaired hair growth and you start losing your hair. Alopecia totalis: Alopecia totalis causes the complete hair loss or baldness on the scalp area. Alopecia universalis:Alopecia universalis is considered as the most advanced form of alopecia areata. It causes the complete hair loss on your scalp or even on the body. Ophiasis: In Ophiasis hair loss, you will lose hair in a wavy pattern around the edge of the scalp and typically at the back of the scalp. Telogen Effluvium: Hair loss due to Telogen Effluvium occurs when you are dealing with severe stress. It has been observed by hair experts that telogen effluvium is the second most common cause of hair loss. You will notice more hair thinning on the top of the scalp instead of the sides & back and there will be no recession of hairline generally. Anagen Effluvium: Anagen effluvium is the sudden hair loss in the growing phase of hair cycle. This type of hair loss can be due to overexposure of hair to chemicals or radiations used in chemotherapy etc. This condition is usually reversible but in some cases, your hair loss can be permanent. Cicatricial Alopecia: Cicatricial Alopecia, also known as scarring alopecia refers to the hair disorder in which after hair loss, there is a scar formation. The hair loss from this type of hair loss is permanent. Scalp Folliculitis: Folliculitis is a skin condition which occurs due to the bacterial infection and this causes the inflammation of the hair follicles which in turns block or damage the hair follicles. The hair follicle is surrounded by the zone of inflammation which appears as a bump or acne and hair usually falls out from that area. If you are noticing any changes in your hair or hairline and washing your hair less nowadays just because of hair fall, then it’s time for you to get the best hair loss treatment. If you have also tried various hair regrowth shampoos or serums and nothing have worked for you, seek medical treatment for hair loss today. We have got all the treatments for hair re-growth to help you to unburden your worries about hair loss. 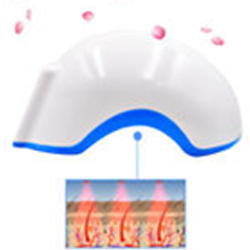 Low-level laser therapies include laser combs and helmets. These are new hair growth treatments and they promote hair growth through its light energy that helps in the stimulation of hair follicles resulting in faster hair growth. These treatments work best when combined with other hair growth treatments. Cyclical therapy for hair growth includes various amino acids, hair growth enhancers, supplements or vitamins for faster hair growth. For a period of time, you will have to stick to this therapy for hair growth. Along with these supplements for hair growth, you can combine low-level therapies or other hair growth therapies for better hair & faster hair growth results. The only FDA approved topical for hair growth is Minoxidil and is recommended by hair experts too. Minoxidil helps in the hair growth by dilating the blood vessels which results in an increased blood flow to the scalp cells. The hair follicles get nourished and this accelerates the hair growth. 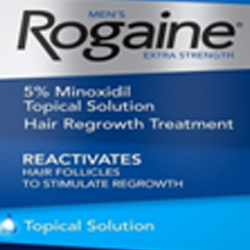 Minoxidil is commercially available as ‘Rogaine’. 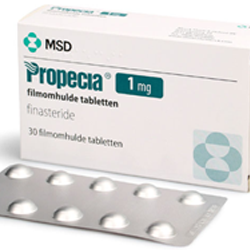 Finasteride or ‘Propecia’ for hair growth is a 5 alpha-reductase inhibitor which is responsible for the conversion of hormone testosterone to dihydrotestosterone (DHT), the main cause of hair fall. 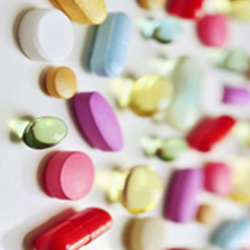 Finasteride binds with the DHT and further stops its transmission to hair follicles resulting in hair re-growth. Nowadays, there are various hair growth therapies which are recommended by hair experts. These therapies work great and help to restore your hair if you are in the initial stages of your hair fall. 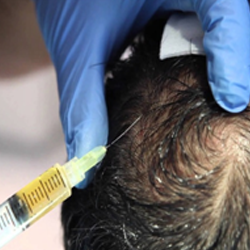 These therapies include PRP therapy for hair growth or Mesotherapy. 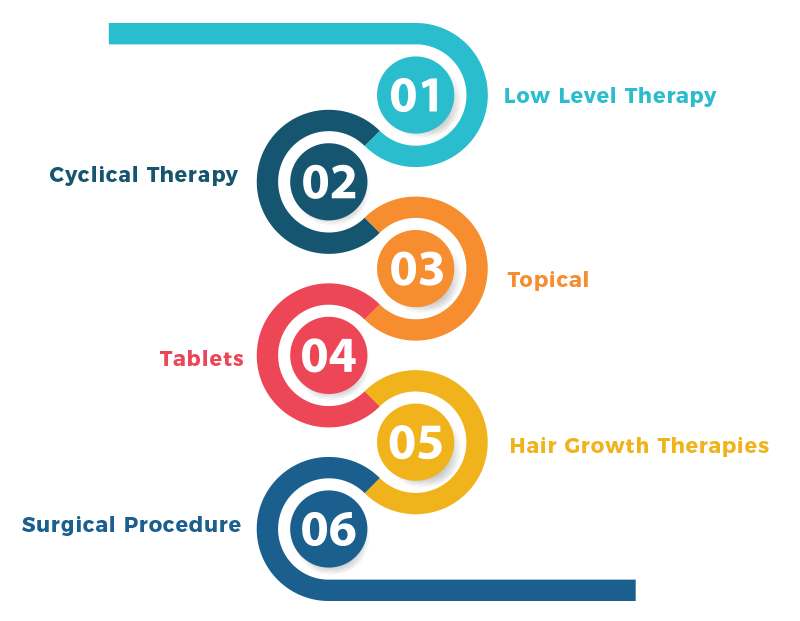 These therapies contain the hair growth factors along with other hair growth boosters that are injected into your scalp and will increase the hair growth along with improved hair texture. If your hair loss is stable and there are bald patches on your scalp, then these above-mentioned treatments or therapies are not an option for you. Then the only and permanent option of getting back your hair is ‘Hair Transplant‘. Hair transplant is a surgical procedure in which hair are extracted from the donor area and are transplanted into the recipient area and within the span of almost 12 months, you will get your natural hair back. you can enjoy styling them like the way you want. There are two types of hair transplant procedures including FUE (Follicular Unit Extraction), FUT (Follicular Unit Transplant). At AK Clinics, the doctors use their own trademarked procedure Bio FUETM hair transplant which gives better and natural hair growth results.